What do you call stomach butterflies that are so large that you start to feel severely nauseous? I can’t come up with a satisfying answer but that is the state I am in – paradoxically I have never been happier. This feeling between nausea and adventure ecstasy is what I live for, the self induced adventure high is my drug. This is the feeling that drives me to leave behind nurturing relationships and it is something I have what I have put my career on hold to try to quench. The best I can describe it as is an intense painful hunger that drives me see many places but so far hasn’t let me be content in any of them for very long before I need more. Readers of this blog will know I have had some adventures but this one I am pretty sure is my biggest yet. 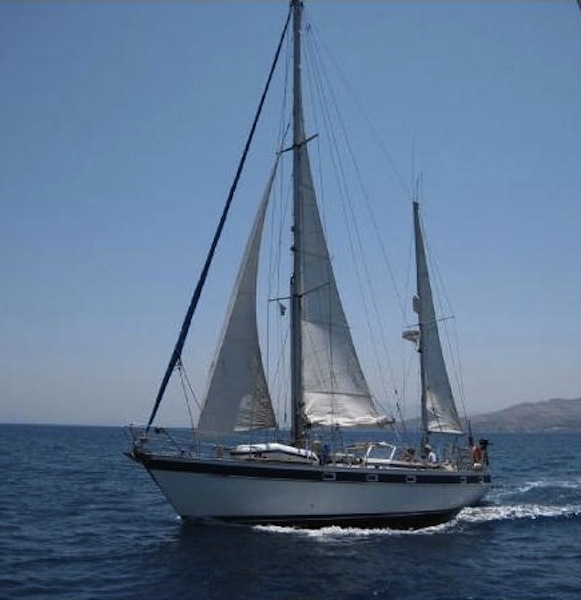 On December 12th I set sail on the 40ft sailboat Raison d’Etre departing from Lanzarote in the Canary Islands headed west with our first stop most likely being Barbados pulling in on December 30th. That is the thing about sail boats, you never quite know when/where you may be arriving. Our ultimate destination: going through the Panama Canal. I found the opportunity after searching high and low, and eventually settled on the boat owned by a retired engineer who goes by the name Fritz. Along with his engineer friend Dave, I was interviewed, put through my paces, and after spending some time getting to know each other decided that we were a good fit. Many sunday afternoon skype calls later, I am confident that this is the crew and boat for me. My family and friends think I am crazy, my mom’s quoted as saying “I never liked the boat idea…” when asked her opinion. However, after lots of solo adventures, including Syria and Turkey as my first travel alone experience, I have learned to trust my own instincts and know that I am making the right decision for me. The decision to set out for your dreams in my experience is not any easy one – dreams and ambitions are harsh mistresses and demand sacrifice. I deeply miss my family and friends, and my heart aches for the moments I am missing like the awkward pinning of the corsage before my favorite cousin’s first homecoming dance, helping my sister move in with her boyfriend for the first time, and spending my first christmas away from my family in the middle of the ocean with no champagne or christmas ham in sight. But there is this voice that ever so persistently says, if you don’t take this adventure you will regret it, and I know it is true. The question is at the end of my years which will I regret more? I really wish I knew. For now, I will just keep telling myself just one more country, one more adventure and then I will be ready to settle down and live a normal life. Before every adventure, each a little more wild than the last, I think I will find my limit, that point where I am tired and ready to go home. Life would be so much easier without this momentous hunger for life in all of it’s messy and delicious pieces but for now I really just can’t seem to stop. Atlantic Ocean – here I come! Follow our adventure across the Atlantic at rasionatsea.wordpress.com. Wow Rachel, that’s exactly what I am thinking now……your fellow traveler, Dave! See you Tuesday! Take care! Do not do it – You’re skipper is 70 years old and filled with Dementia. OMG !!! Are you nuts too? You won’t make it!! Jeez they don’t care – they’re last hoorey….